Four experiments investigate the folk concept of “understanding,” in particular when and why it is deployed differently from the concept of knowledge. 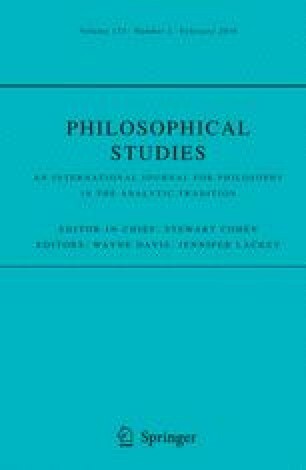 We argue for the positions that (1) people have higher demands with respect to explanatory depth when it comes to attributing understanding, and (2) that this is true, in part, because understanding attributions play a functional role in identifying experts who should be heeded with respect to the general field in question. These claims are supported by our findings that people differentially withhold attributions of understanding (rather than knowledge) when the object of attribution has minimal explanatory information. We also show that this tendency significantly correlates with people’s willingness to defer to others as potential experts. This work bears on a pressing issue in epistemology concerning the place and value of understanding. Our results also provide reason against positing a simple equation of knowledge(-why) and understanding(-why). We contend that, because deference plays a crucial role in many aspects of everyday reasoning, the fact that we use understanding attributions to demarcate experts reveals a potential mechanism for achieving our epistemic aims in many domains. The authors would like to thank the University of California, Berkeley, the John Templeton Foundation’s Varieties of Understanding project, and a James S. McDonnell Foundation Scholar Award for support of this work.